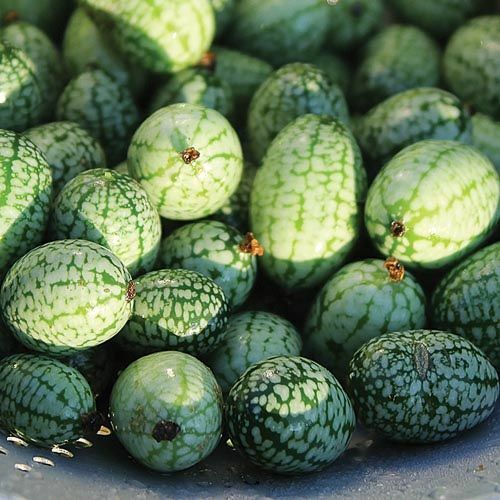 This Mexican and Central American species bears an abundance of 1" fruits that resemble tiny watermelons. Their initial flavor profile is that of a sweet cucumber, but is followed by a surprising “already pickled” taste, offering an interesting and spirited note. Great for growing on a trellis, this species’ fruits fall from the vines when ripe and are great for pickling with small peppers and garlic. This cucumber relative was recorded by French botanist Charles Victor Naudin in 1866. 60-70 days.